The theme at I Heart Faces this week is "Smiles". 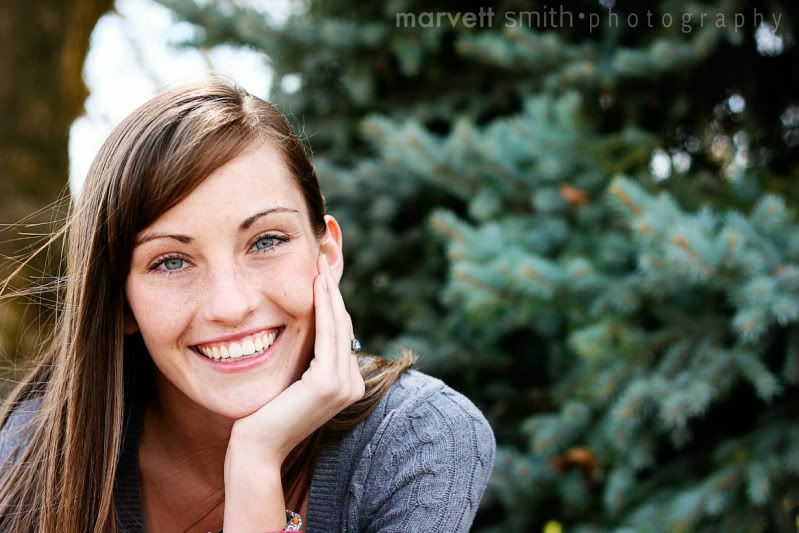 This beautiful girl has one of the prettiest smiles I think I've ever seen. Click the link below to see some other gorgeous faces. I like this! I like how she is positioned in the photo! What a great smile and I also like her positioning. Beautiful capture of a beautiful girl! Wow, if ever I saw "Girl Next Door" gorgeous, this is it! I like the slight desaturation of the colors and the way it lets her eyes speak. Nice! I remember when you posted photos of her a while back. She's beautiful. What a warm, genuine smile. Her eyes sparkle.